"The neck is still a bit stiff both on and off the bike, but it should no longer be a problem. I still have to rest for two days and then I can resume training. Today I will have a final session with the physiotherapist. " There are good news for Mathieu van der Poel who has recovered enough to be at the start of the Dutch Championships this weekend. After his bad crash at the race in Loenhout on December 29, the Beobank-Corendon rider has been given the green light to defend his national title. "The neck is still a bit stiff both on and off the bike, but it should no longer be a problem," he told Het Nieuwsblad. "I still have to rest for two days and then I can resume training. Today I will have a final session with the physiotherapist. " 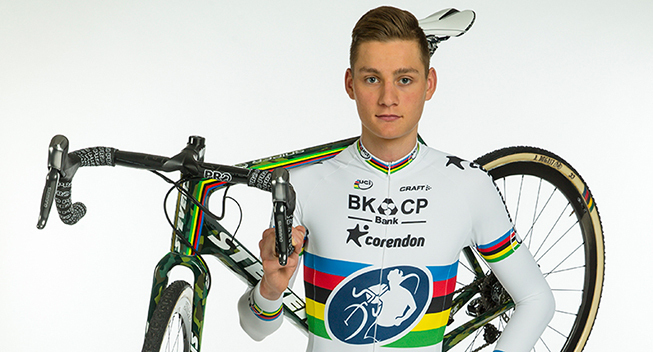 Van der Poel will be the favorite on Sunday and he has already identified the threats. He points to Corne van Kessel, Lars van der Haar and Lars Boom.